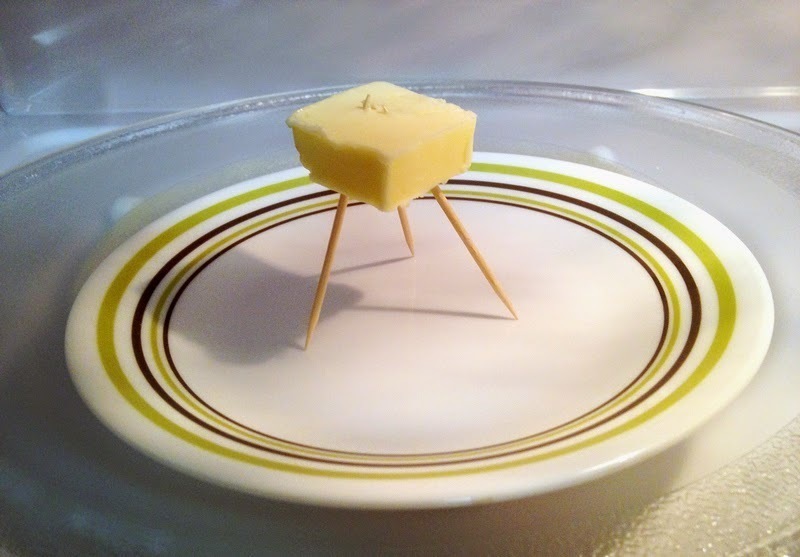 Take your butter and put it on a toothpick tripod. Pop it in the microwave and stop it right as the butter starts to slide down. Voila, turn refrigerator-cold butter into perfectly spreadable butter with no mess or melt. I wish there were simple tricks like this to solve all of life's problems. Similar trick for cooking/grilling any meat: Let it sit for 3-5 minutes after coming off the heat source and make sure it is elevated and not sitting flat on a surface -- this allows the air to pass through under and it will cook more evenly for those final few minutes.